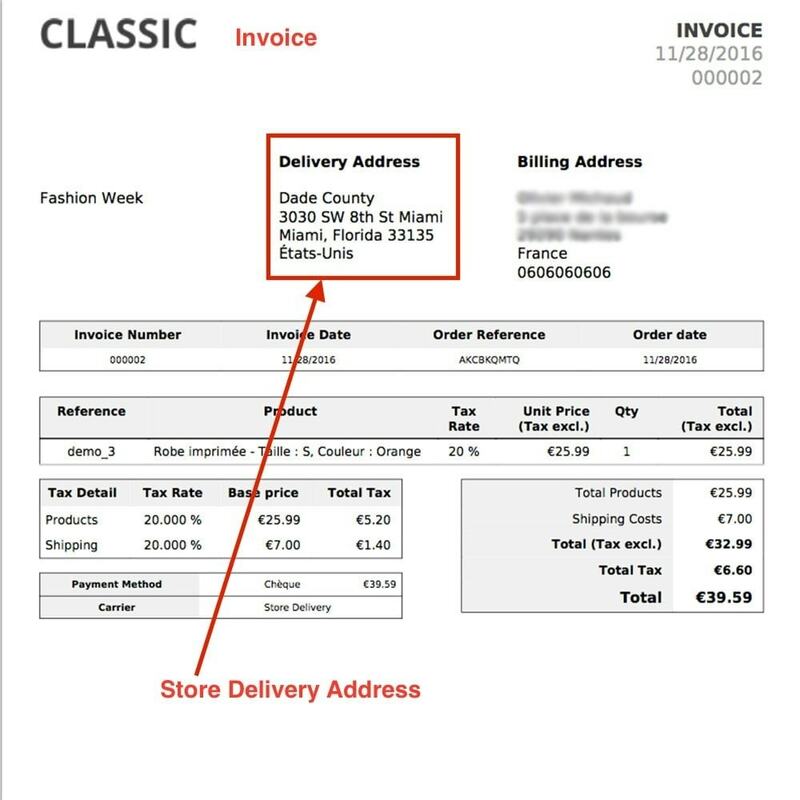 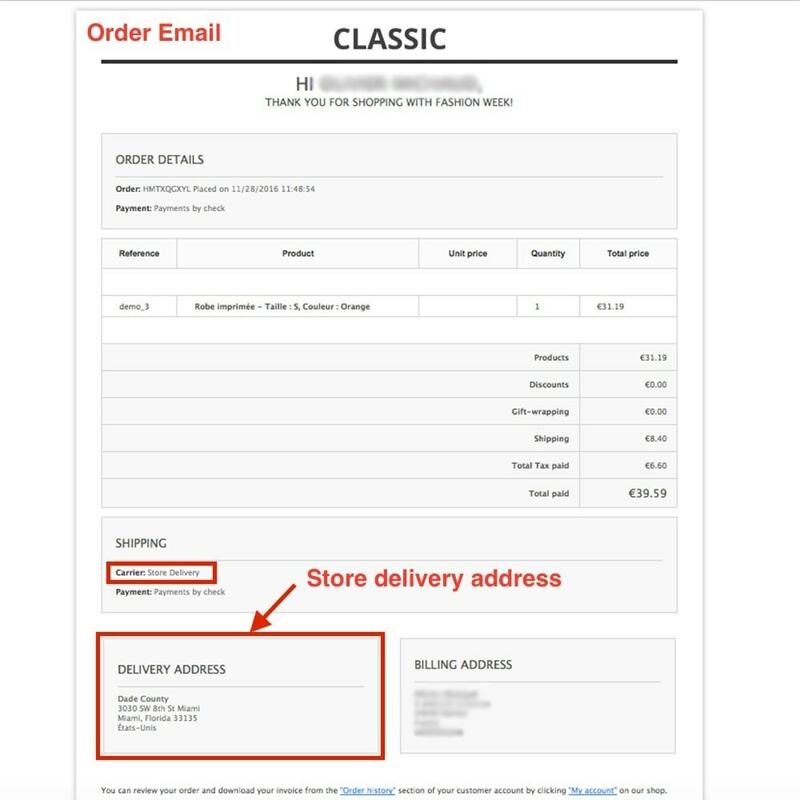 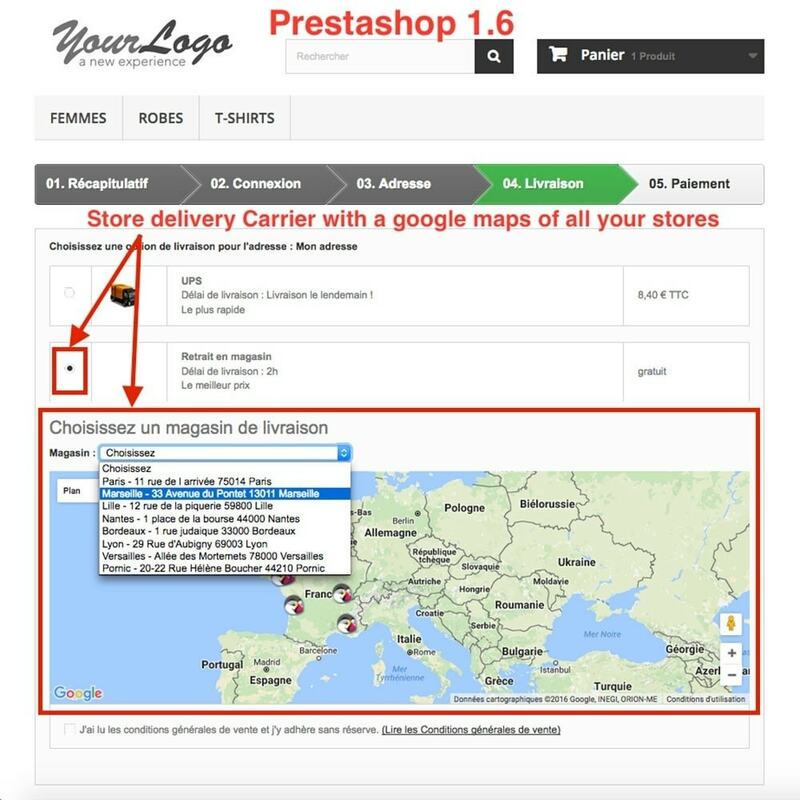 The advantage is that the delivery address of the store will be informed in the order, the invoice, the delivery ... On google maps your customer can also find all coordinates shops and opening times. 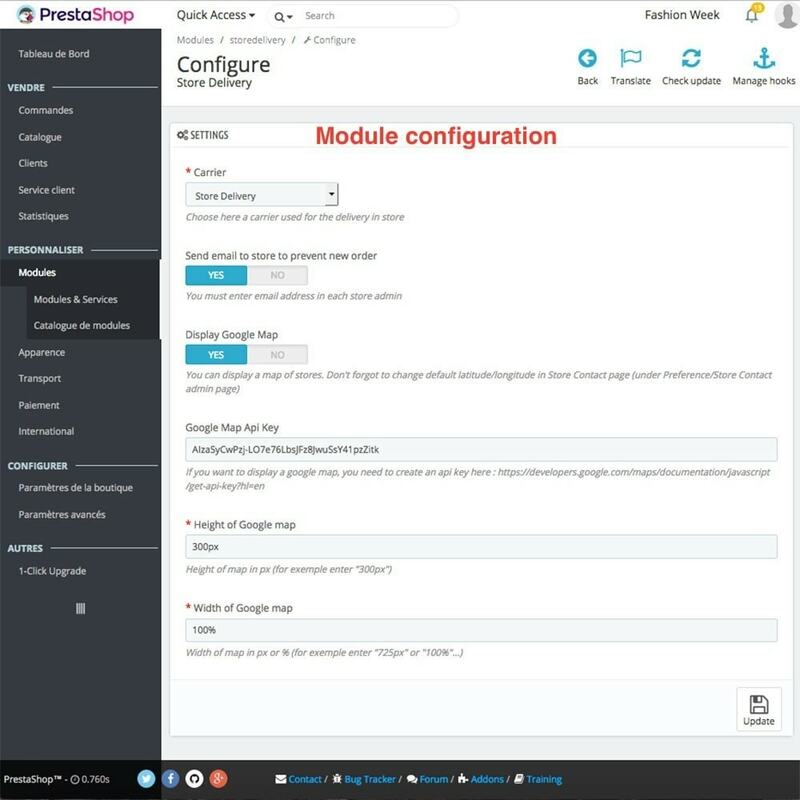 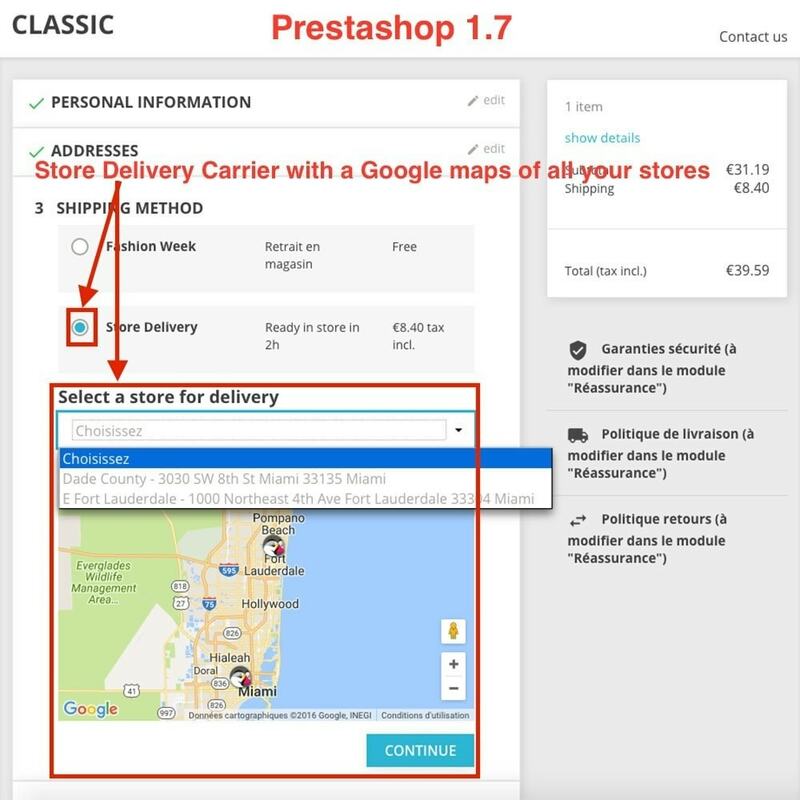 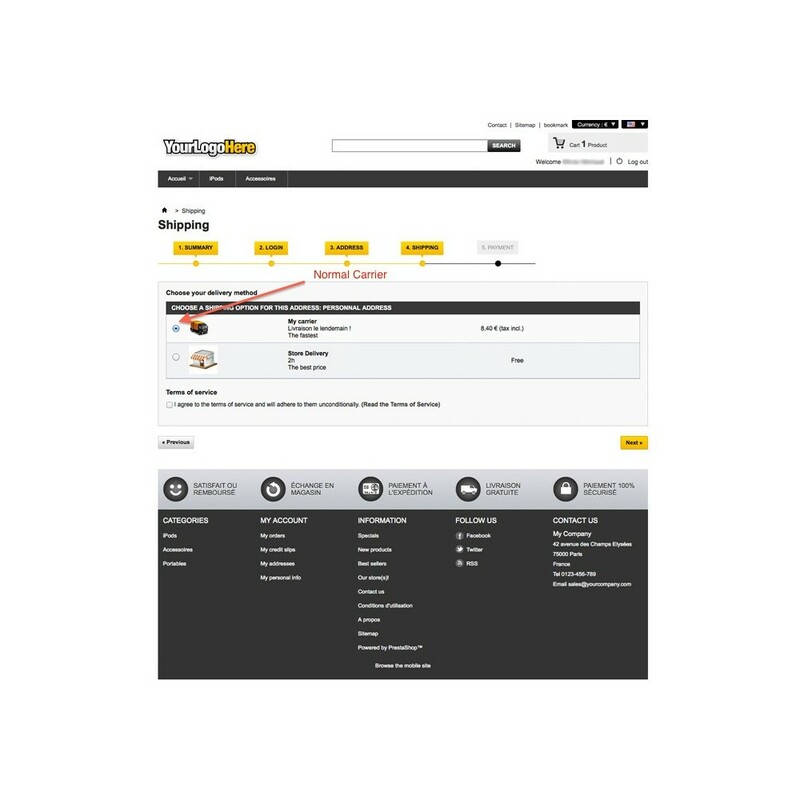 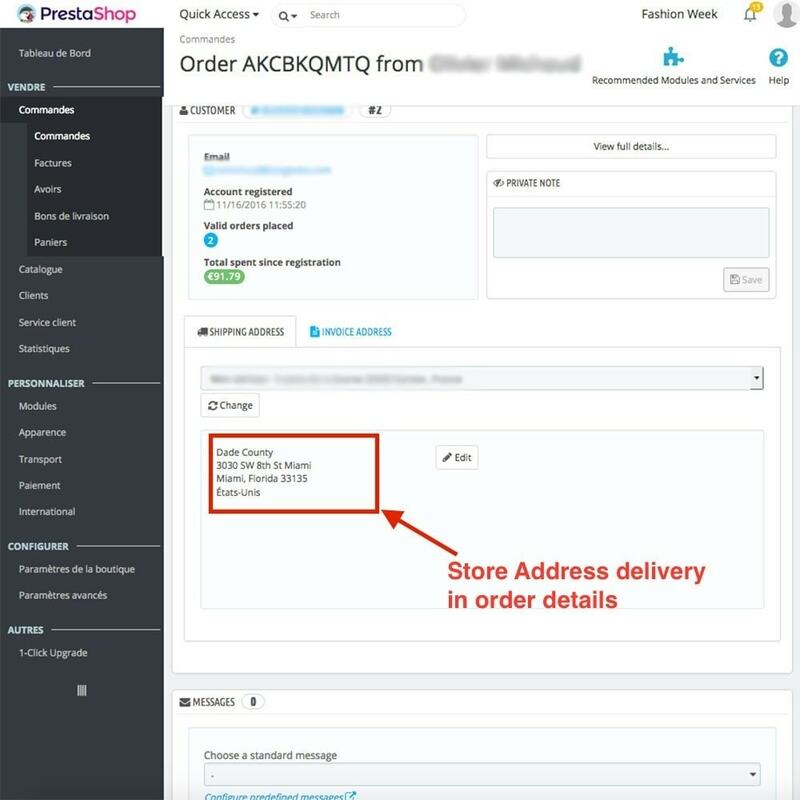 - Not Compatible with the payment on 1 page for the moment (One page checkout) for Prestashop 1.5 and 1.6.
delivery ... as the address of delivery. 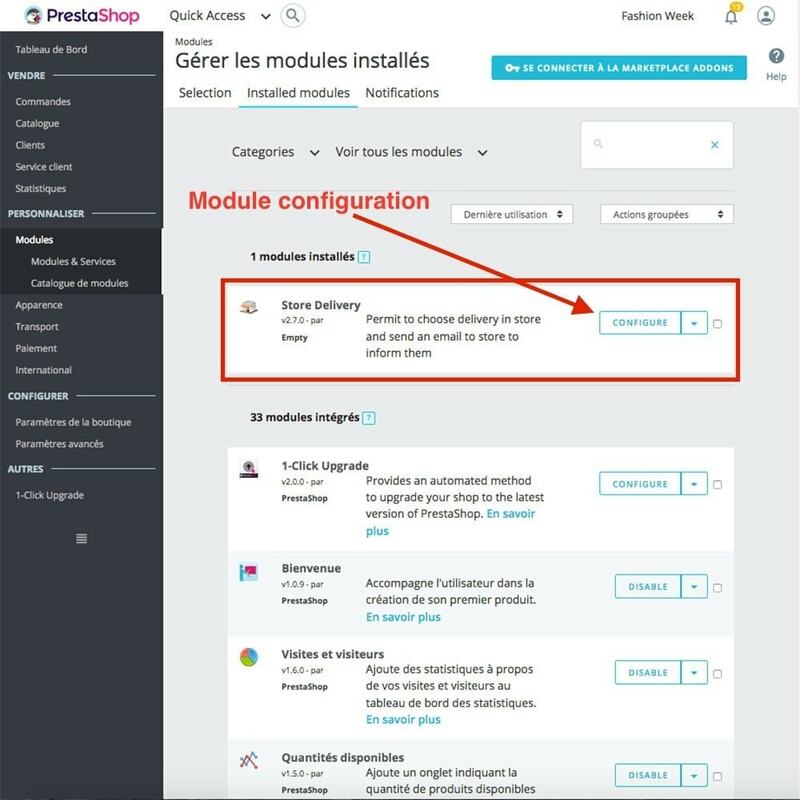 configure button of your module.